The Collision Regulations are an important document for anybody who uses the water- they are the international rules of the road. They are critical knowledge for anybody who works on a ship’s bridge, and required knowledge for most Transport Canada Tickets. 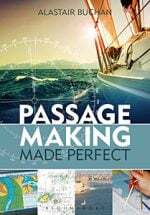 In this blog, we’ll talk about what books we recommend for studying the Collision Regulations- and for dealing with the Canadian Modifications. The Canadian Modifications were created by the federal government when the international regulations were incorporated into law. They are changes to the code- in some places, they are simplifications, and in others, they add complexity. As an example of the latter, the international code has three simple signals for ships to communicate their steering intentions to each other when passing, or overtaking. 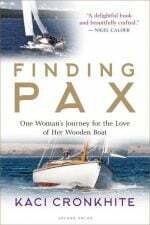 1 Blast: That ships will alter course to starboard, to pass each other on the port side- or that an overtaking ship will overtake to starboard. 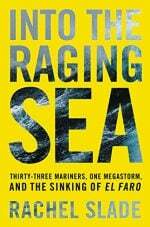 3 Blasts: This means that a ship has put its engines astern. This is a *very* simple system- and can be used by mariners of any nation. However, in the Canadian modifications, ships can also call each other on the Bridge-to-Bridge channel to discuss their plans. This is not in the international regulations, and was inserted by the Canadian government. This applies especially in the Great Lakes region. 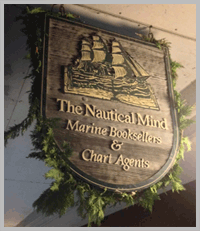 This can create confusion- especially with the growth of non-native English speaker as ships’ crew on the Great Lakes. It is important to know the Canadian modifications- because they modify the light and sound signals required for various sized vessels in different weather conditions. Further, there are many modifications that apply specifically to the Great Lakes. 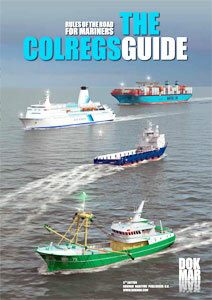 The Collision Regulations can be downloaded from here, and softcover copies can be ordered from us. 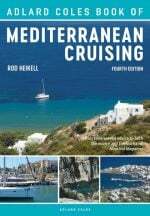 This is part of the excellent DOKMAR series (Which also includes books on Ship Stability, Ships’ Electrical Systems and Ship Knowledge). This book doesn’t so much have written explanation of all the rules, but uses illustrations images. So this book is very good for actually picturing situations described in the official document. This is part of the excellent Macneil’s pocketbook series. This book is not so much for *teaching* collision regulation as it is for quizzing/testing afterwards. It includes both written questions and questions based on visual aids and situations. This book is broken down into ‘tests’ (not based on practice tests, but sets of questions’. 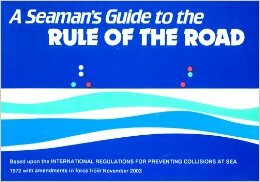 The Seaman’s Guide to the Rule of the Road is a similar kind of document (in terms of a mix of written and visual things), but is definitely a book for *teaching* the rules of the road as well as testing. 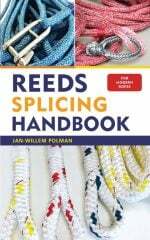 In addition to the textbook aspect, the last section of the book also includes the text of the interational regulations. This is also up to date, including the amendments that came into force in 2016. For testing, we recommend the Rules of the Road flipcards (although the Lights & Shapes, Sound Signals and other flip card sets and education tools are also extremely useful). 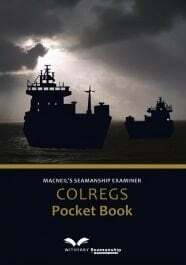 as well as Gregs Szczurek’s United Rules (which includes US rules for Inland Waters, Western Rivers and the Great Lakes (however, they do not include the Canadian Modifications), and Colregs Study Guide (Which have just the international rules).